“The Democratic Party’s promotion of a large number of military-intelligence candidates for competitive districts represents an insurance policy for the US ruling elite. In the event of a major swing to the Democrats, the House of Representatives will receive an influx of new members drawn primarily from the national security apparatus, trusted servants of American imperialism……The preponderance of national security operatives in the Democratic primaries sheds additional light on the nature of the Obama administration (which) marked the further ascendancy of the military-intelligence apparatus within the Democratic Party…. The Democratic Party is running in the congressional elections not only as the party that takes a tougher line on Russia, but as the party that enlists as its candidates and representatives those who have been directly responsible for waging war, both overt and covert, on behalf of American imperialism. …. The dramatic metamorphosis of the Democratic party hasn’t taken place in a vacuum but in a fractious and politically-charged environment where elements within the intelligence community and law enforcement (FBI) are attempting to roll back the results of the 2016 presidential elections because their preferred candidate (Hillary Clinton) did not win. And while these agencies have not yet produced any hard evidence that their claims (of collusion with Russia) are true, there is mounting circumstantial evidence that senior-level officials at these agencies were actively trying to entrap members of the Trump campaign to justify more intrusive surveillance in the hopes of uncovering incriminating evidence that could be used in impeachment proceedings. 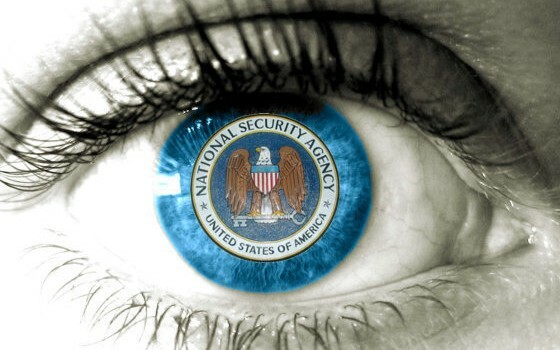 As more information surfaces, and we learn more about the “unmasking”, wiretapping, National Security Letters, FISA warrants, paid informants and other surveillance abuses that were directed at the Trump campaign, we should think back to 2005 when the New York Times first reported that the National Security Agency had been eavesdropping on Americans inside the United States “without the court-approved warrants ordinarily required for domestic spying.” (“Bush Lets U.S. Spy on Callers Without Courts”, New York Times) That incident was reported just 13 years ago and already we can see that the infrastructure for a permanent Orwellian police-state –that uses its extraordinary powers of surveillance to sabotage the democratic process and maintain its stranglehold on power– has already arisen in our midst. And while Russiagate is proof-positive that these malign spying techniques are already being used against us, the Democratic party is now creating a home for deep-state alums and their military allies so they continue to prosecute their war against personal liberty and the American people.